"Kitzbühel is always a real experience"
In addition to all the athletes and fans, reporters from all over the world travel to Kitzbühel every year. Bernd Schmelzer, who will be the race commentator for Germany's ARD channel, confirmed that this is also a very special experience for those reporting on the event. MR Schmelzer, as a journalist, what is it like to work at the Hahnenkamm Races? I think this is my now my 15th year here. I have to say, it is always a real experience. The challenge increases every year, as the hubbub surrounding the races gets bigger all the time. As you mentioned: the races here in Kitzbühel present athletes with the greatest of challenges - does that apply to journalists too? Everyone really does watch this race. As in the case of the athletes, the aim of the game is to make as few mistakes as possible. 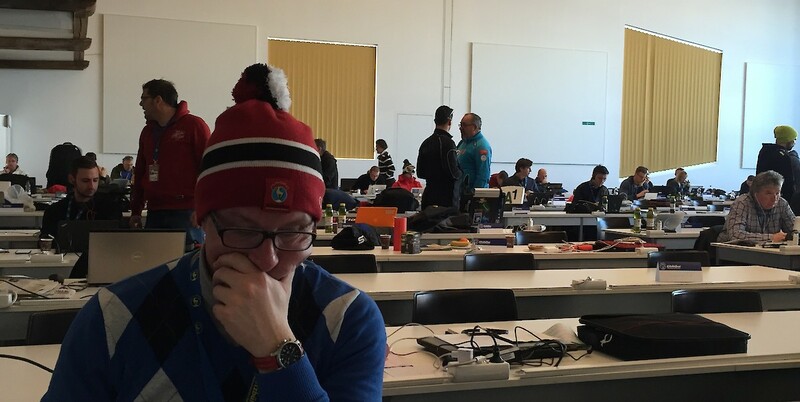 Preparing for Kitzbühel is more intensive for journalists than other World Cup races. Our challenge is the sheer wealth of contributions and stories that surround the Event - and sorting this mass of information onto an ordered presentation. Are significantly more of your colleagues present at the Hahnenkamm Races than normal? Oh yes, definitely. You only have to visit the Press Centre, or the finishing area, to see how many there are. Everything is bigger and fuller than anywhere else and the media interest is much higher - Kitzbühel is known around the world. It is the biggest date in the athlete's calendar and an honour for me to commentate here.